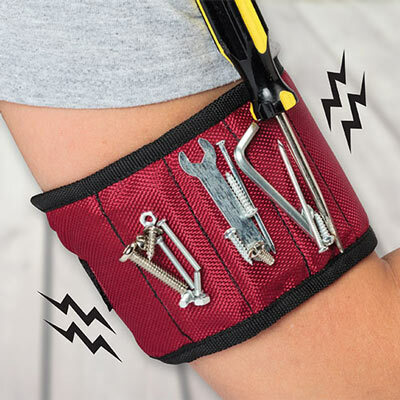 Like magic, this magnetic tool arm band holds tools right at hand's reach. Just wrap it around your upper arm and store everything from screws to pliers, even the hammer. Made of durable polyester/acrylic. Imported. One size fits all. 4"w, 17"l. Hurry! Quantities are limited!